Would you hire Morgan Freeman to work for your small business? Of course, he’s a famous actor who can bring a lot of attention, and therefore, sales, so your answer is a most definite yes. But what about when he left the Air Force and was looking for a job without a significant professional background? That’s a whole other story, right? Freeman, who served in the U.S. Air Force from 1955 and 1959, was struggling day by day while pursuing a career in acting. According to Military.com, it took him almost 20 years to build a good reputation and become a known actor. One of the reasons why Freeman and many other veterans face additional challenges with recruitment is their military background. There are some stereotypes about veterans and their potential to succeed in a civil workplace that are totally unjustified but nevertheless affect their chances to get hired. Let’s hear some numbers. 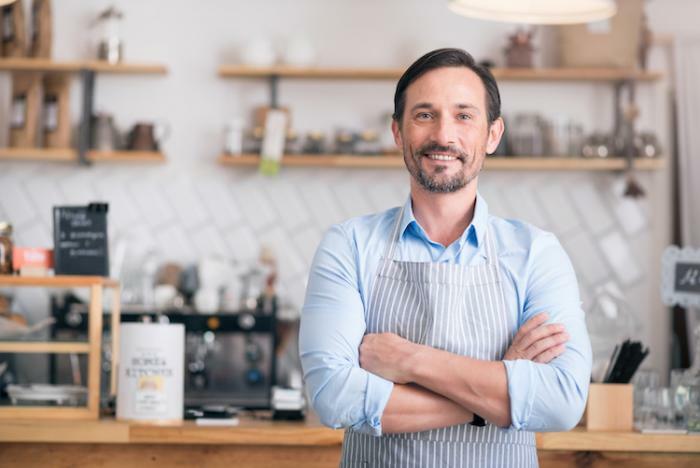 According to statistics from Small Business, about 2.52 million businesses in the U.S. are majority-owned by veterans, which makes up more than 9 percent of all businesses in the country. Not to mention numerous ventures started by Morgan Freeman who is still professionally active at the age of 81. In this article, let’s go over apparent reasons why hiring veterans makes total sense for small businesses. In a recent interview with Business Insider, Freeman was asked what was the secret to the longevity of his career. His answer was simple: discipline. “Exercise, part of your discipline. How you eat, part of your discipline. I try not to overeat," he elaborated. So if you’re struggling with recruiting disciplined workers, definitely consider hiring veterans. Their approach to self-discipline is unmatched and keeps them performing at a high level, which is exactly what a lot of small business owners need. In fact, some of the rumors about veterans and their working habits lead many people to believe that they tend to quit more often than civilian workers. Well, the recent Veteran Job Retention Surveyhas shown that most of the veterans work for at least 6 months on their first job. Clearly, the claim that veterans lack discipline has no support. The data paints quite a different story and supports the truth: veterans are punctual, focused, and self-disciplined employees who have lengths of first jobs to civilian employees. Having to deal with highly complex, challenging projects is routine for most veterans because they’ve dealt with them throughout their military career. As the result, they know how to handle stress and stay focused to complete their projects within deadlines. Like gifted students who submit all essays on time, they know how important it is to respect deadlines. According to the abovementioned Veteran Job Retention Survey, the vast majority of former military members seek jobs that allow them to use the skills and abilities they developed while being a part of the military. Having such attitude toward self-development makes a perfect sense because stress-handling, working under pressure, and many other skills obtained during military career are often superior to those of civilians. Since every small business needs to work on complex challenges every day to outperform the competition, having a veteran ready to contribute could be a huge advantage. They are ready and eager to use their skills and abilities, which is exactly what many small businesses need. Achieving a high retention rate is an important goal for many companies today. For example, Recruitment Process Outsourcing Associationcited a Glassdoor survey which found that almost 35 percent of hiring managers expected more employees to quit; the reasons for this are numerous and include compensation, career advancement opportunities, benefits, location, and many more. Clearly, companies are struggling with retaining employees and experience avoidable costs associated with training and onboarding of new people. Hiring veterans might be one of the factors that could improve the retention rate, says research. A higher retention rate compared to civilian workers (67 percent). Since a high employee retention rate is a significant part of success for many small businesses, hiring veterans could be a viable solution. As you can see, there are at least three major reasons why hiring veterans can benefit your small business: they’re self-disciplined, they’re up to challenges, and they’re easier to retain. Clearly, they are active contributors to the success of many businesses in a wide variety of industries, and many of them rose to the highest degree of prominence despite struggles due to stereotyping and preconceptions. Morgan Freeman is obviously just one example of a veteran success story, so feel free to take a look at other articles on our blog to know more and learn how to make your small business a veteran-friendly employer. For more information on attracting qualified veteran candidates, or to create your company's employer profile on our job board, please click here. Lucy Benton is a marketing specialist, business consultant and helps people to turn their dreams into the profitable business. Now she is writing for marketing and business resources. Also Lucy has her own writing blog Essay Reviewer where you can check her last publications.